Electronic health records have significantly contributed to improved clinician productivity, information exchange, and an overall improvement in the quality of care. However, the rise in the adoption of EHR technology hasn't been without negative consequences. Just last year healthcare leaders of some of the nation's top healthcare organizations, health systems, hospitals, and physician practices called on healthcare CEOs to address physician burnout as the high level of burnout "should be considered an early warning sign of dysfunction in our health care system." If you have upgraded to eClinicalWorks Version 11 or plan on upgrading to Version 11 and you are participating in the Merit-based Incentive Payment System, there's one more thing you need to add to your checklist - the Interoperability Hub. Here's why. 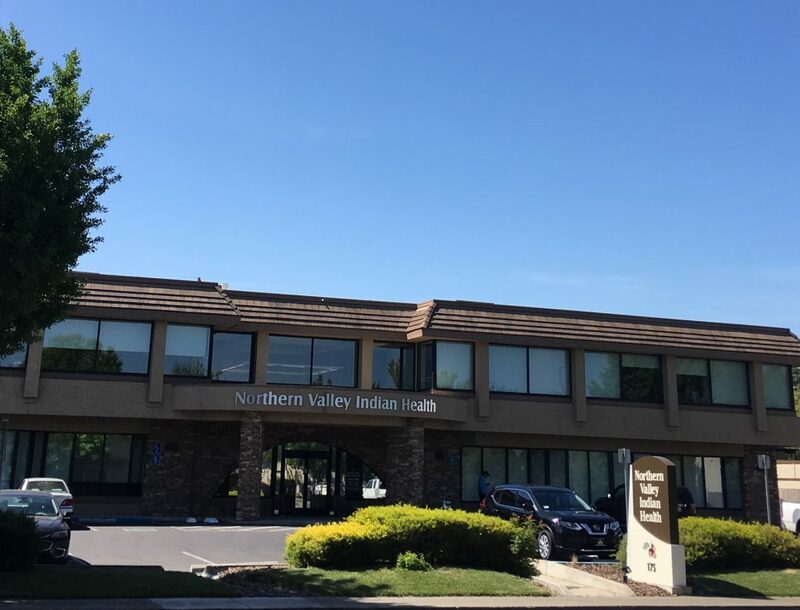 eClinicalWorks®, a leader in healthcare IT solutions, announces that Northern Valley Indian Health (NVIH), a non-profit, Tribal Health Program, is transitioning to the eClinicalWorks cloud-centric EHR solution for its 73 providers across seven locations. Use of the cloud-based technology will support care coordination between physicians and patients to enhance communication and improve the delivery of care. eClinicalWorks®, a leader in healthcare IT solutions, announces that Waverly Health Center is expanding its relationship with the company by deciding to transition from the Paragon Inpatient EHR system to the eClinicalWorks cloud-centric Acute Care EHR and Revenue Cycle Management platform for its 25-bed Critical Access Hospital. 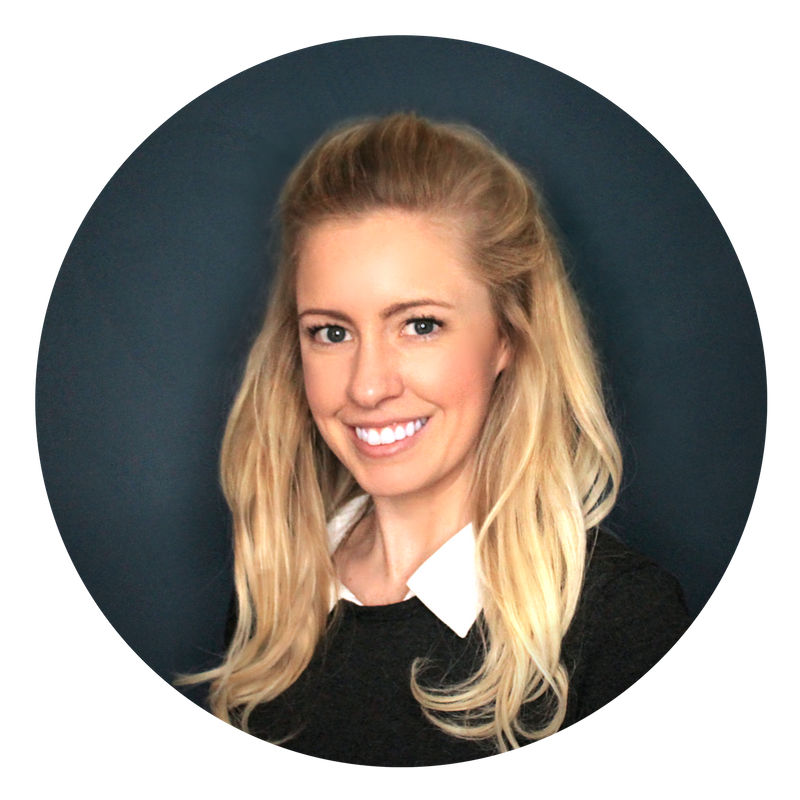 Scheduled to go live in 2018, the acute care platform will reduce overall implementation costs while creating unified patient records in inpatient and outpatient communities that ensure the seamless exchange of information. eClinicalWorks®, a leader in healthcare IT solutions, announces that Physicians’ Clinic of Iowa (PCI), one of Iowa’s largest, private specialty medical groups, will transition to the eClinicalWorks cloud-centric Electronic Health Record (EHR) solution for its 84 providers. 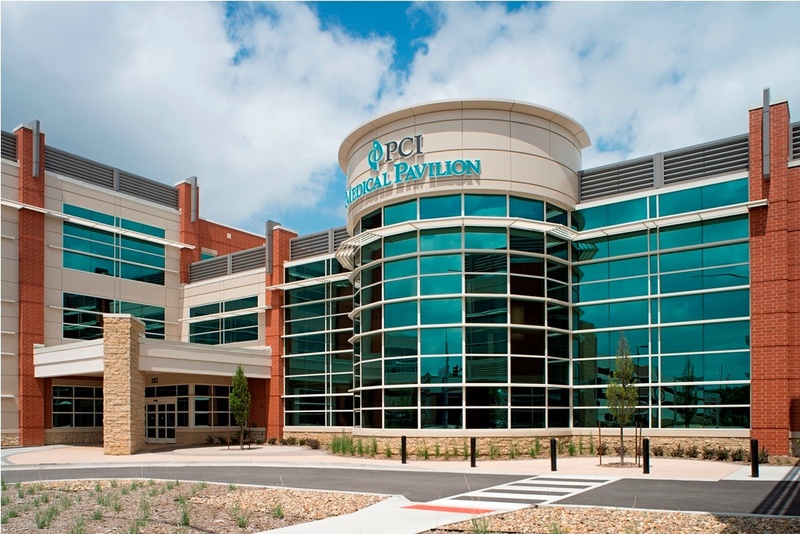 eClinicalWorks will improve PCI’s ability to fulfill its growth plans while providing excellent patient care. 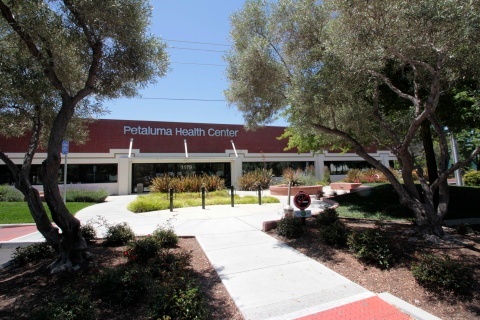 eClinicalWorks®, a leader in healthcare IT solutions, is pleased to congratulate California's Petaluma Health Center (PHC), and its over 80 providers, on being awarded a 2017 Healthcare Information and Management Systems Society (HIMSS) Davies Community Health Award. PHC received the award based on two use cases that demonstrated its efforts to use Electronic Health Record (EHR) technology to improve patient health. 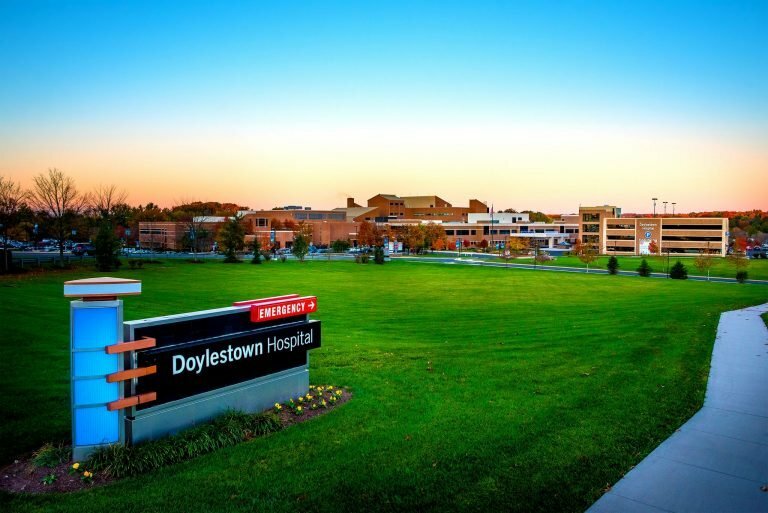 WESTBOROUGH, Mass.—January 23, 2018—eClinicalWorks®, a leader in healthcare IT solutions, today announced that Doylestown Hospital has successfully transitioned to the eClinicalWorks comprehensive Electronic Health Record (EHR) solution for its 169 providers. The technology has supported the organization’s patient-centered approach by improving care coordination between patients and its physicians in more than 50 specialty areas. 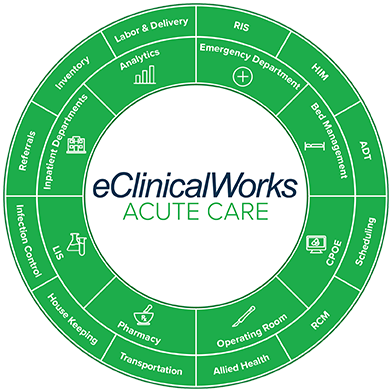 WESTBOROUGH, Mass.—January 17, 2018—eClinicalWorks®, a leader in healthcare IT solutions, announces that Digestive CARE is live with the eClinicalWorks comprehensive EHR solution for its 67 providers across 28 locations. Use of the cloud-based technology will support Digestive CARE in providing quality care throughout the patient journey by enabling access to critical health information for their providers. The eClinicalWorks solution will advance Digestive CARE’s capabilities to meet its future growth plans. eClinicalWorks®, a leader in healthcare IT solutions, today announced that Center for Health Education Medicine & Dentistry (CHEMED), a non-profit, Federally Qualified Health Center (FQHC), has successfully implemented the eClinicalWorks comprehensive EHR solution for its 66+ providers. Use of the cloud-based technology has supported care coordination between physicians and patients. This year's eClinicalWorks National Conference was by far one of the best. 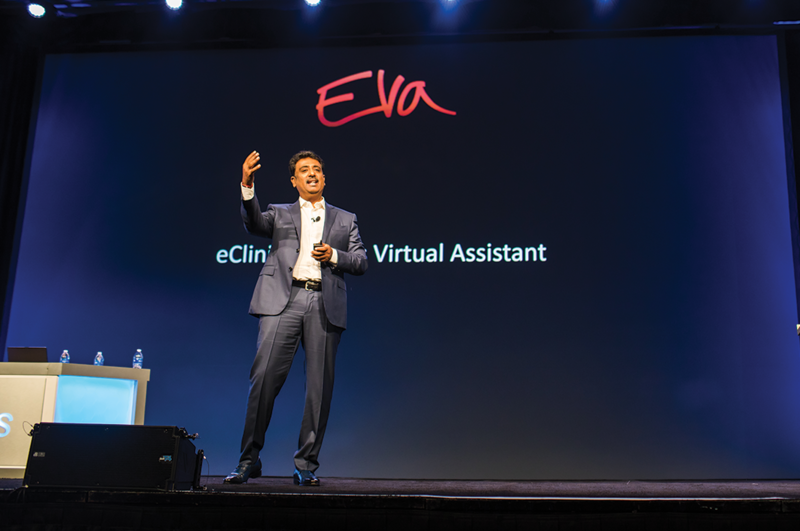 The conference was driven by a theme of innovation and made it clear that eClinicalWorks is and will continue working with partners and customers to improve healthcare together. 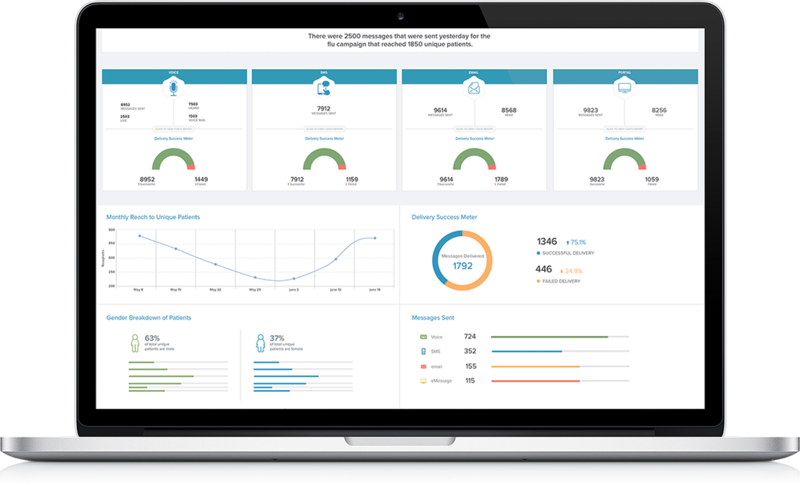 A number of announcements were made during and after the conference so we've rounded them up to help you stay up-to-date on what's happening with eClinicalWorks today as well as what you can expect in future versions of the award winning EHR. 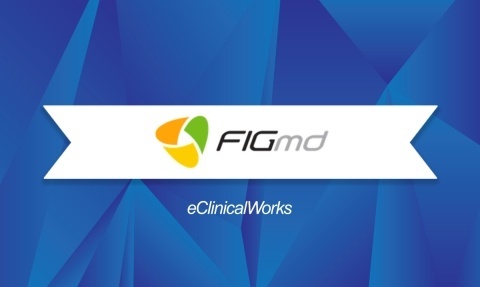 eClinicalWorks®, a leader in healthcare IT solutions, today announces a partnership with FIGmd, the leading developer of clinical data registries, to provide the capability to connect to multiple specialty registries to contribute data. 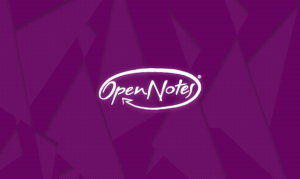 eClinicalWorks®, a leader in healthcare IT solutions, announced that it now supports OpenNotes, an international movement dedicated to making healthcare more open and transparent. 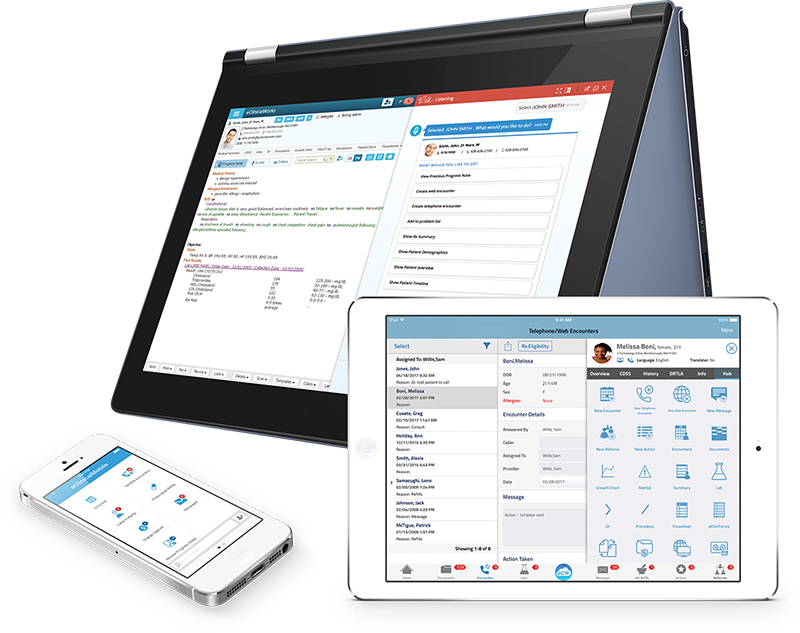 The news supports enabling clinicians to easily share visit notes with patients using the eClinicalWorks Patient Portal. 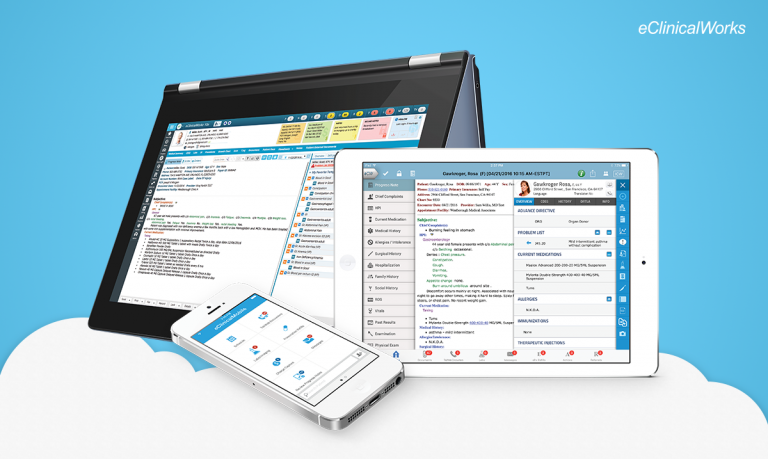 More than 130,000 providers using eClinicalWorks will now have the ability to share notes with their patients, with the goal of building stronger patient-provider relationships and empowering them to take control and be more confident in their healthcare decisions. 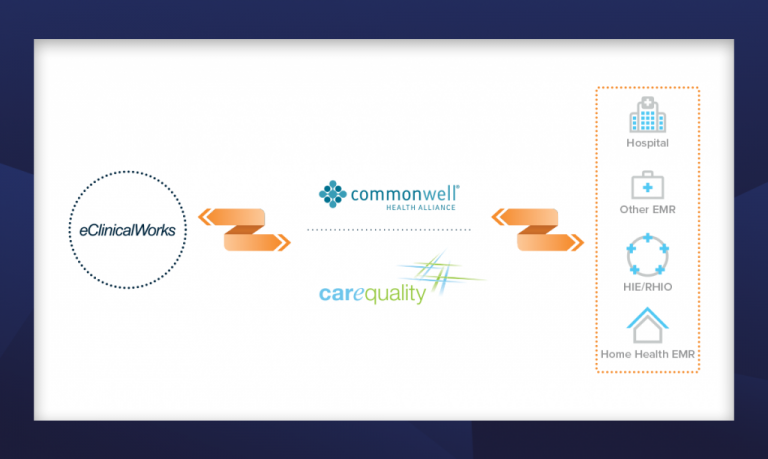 Today eClinicalWorks® announces customers can seamlessly integrate with both CommonWell Health Alliance® and Carequality Interoperability Framework with a self-service option in the latest V10-SP2 release. More than 400 health systems have connected already, presenting a tremendous opportunity for organizations to connect to acute-care sites across the nation. The seamless real-time data transfer between disparate systems facilitates coordination of care between providers in various care settings and ensures they have more complete and accurate patient information at the point of care. 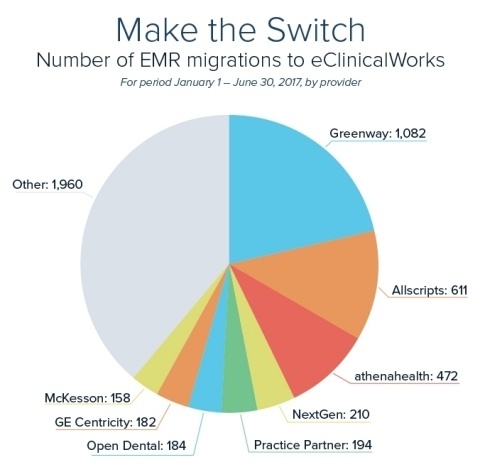 WESTBOROUGH, Mass.-eClinicalWorks®, a leader in healthcare IT solutions, is reporting its strongest sales month of 2017 thus far, with over 1,000 providers selecting eClinicalWorks' comprehensive EHR solution in June. The second quarter of 2017 showed excellent results, with more than 3,000 providers added — contracting with small, midsize, and large enterprise clients, including FQHCs, Ambulatory Surgery Centers, and ACOs.